What's With All The Fog in Milwaukee? 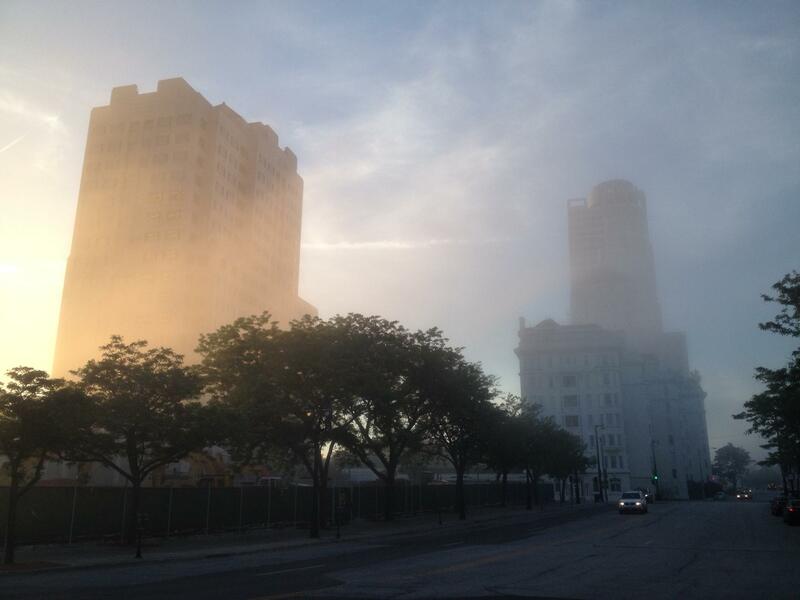 Fog covered Northwestern Mutual building and Cudahy Tower in downtown Milwaukee. It may be summer, but the effects of the polar vortex are hanging around, bringing dense fog to the Milwaukee area. Lake Michigan is much colder than normal right now, thanks to record ice coverage this past winter. "When you put that warm moist air in the vicinity of that cold lake, you condense out the extra moisture. Therefore, you get more incidents of fog or denser fog," according to Meteorologist Mike Westendorf, director of UWM's Innovative Weather center. The heavy fog that's shrouded Milwaukee this past week has made for some great photos, but it's also interrupting summer plans. Summerfest postponed Wednesday night's scheduled "Big Bang" fireworks display until Thursday. (And on Thursday, the fireworks were again postponed and are now scheduled for Tuesday, July 1.) This past weekend, the fog also caused organizers of a big air show in Milwaukee to cancel the event. The foggy weather also has put a chill on the summer sun. Westendorf says the fog, combined with the colder lake, causes lower temperatures, especially within 10-15 miles of shore. But the strange conditions may be keeping some worse weather at bay. While a few thunderstorms rumbled through the region last week, Westendorf says the cold lake may reduce the incidence of severe storms – by steering weather patterns. "The overarching storm track will be a little further to the south and to the west of us than you might normally see if the Great Lakes were warmer," Westendorf says. 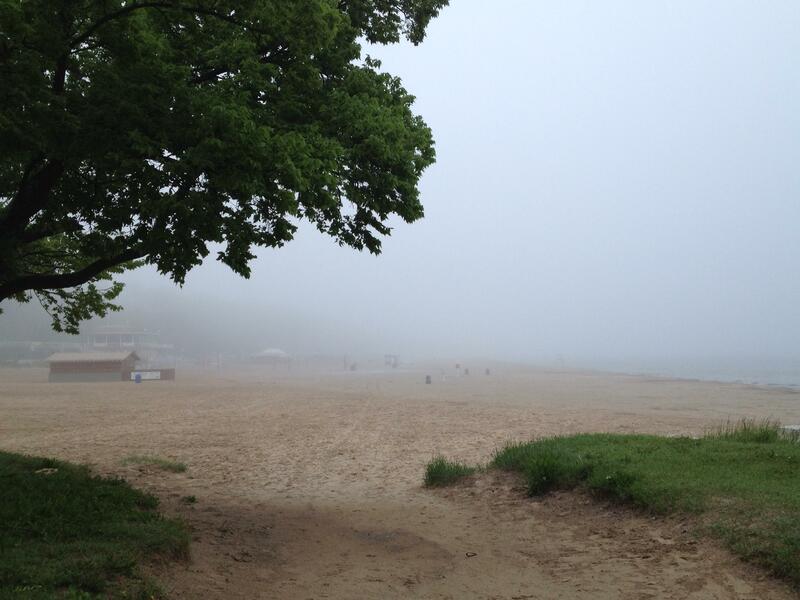 Westendorf says summer will eventually warm Lake Michigan, and the fog will vanish, and the temperature rise. A year ago, Lake Michigan's water level hit an all-time low. It's up a foot, but has 1.5 feet to go. WUWM's Susan Bence interviews Dr. Rob Venette of the U.S. Forest Service. He is also an adjunct professor of entomology at the University of Minnesota. Arctic weather conditions have been hard on us humans in recent days, but there might be positive impacts when it comes to curbing unwelcome bugs.